Join us for the 1st annual Southeastern 5K taking place in the beautiful surroundings of Wake Forest, NC. 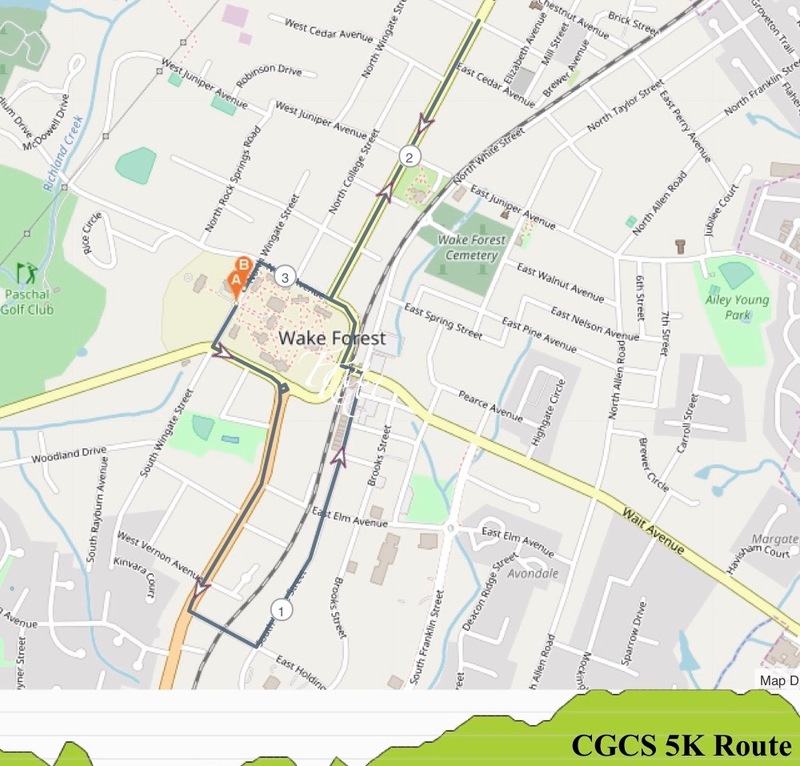 The race will start on the campus of Southeastern Baptist Theological Seminary and wind its way through Wake Forest’s charming downtown and the scenic Historic District before finishing in front of the field of Patterson Hall on the campus of Southeastern. Participation in this race raises money for the Katy Hardy Memorial Fund, which is an endowed student aid fund for women and/or international students, established in loving memory of Kathryn (Katy) Marie Hardy. Katy Hardy was born and grew up in Oklahoma. She was a devoted follower of Jesus Christ, who always gave generously of her time and herself. Katy devoted herself to helping others and advocating for international students. The income from The Katy Hardy Memorial Scholarship Fund shall be used to provide financial assistance to students attending Southeastern Baptist Theological Seminary and The College At Southeastern. It’s a great way to tune up for the racing season while giving back. Help us get word out and kick off the inaugural Southeastern 5K in style by following us on Twitter, Instagram, and liking the race FB page. The official hashtag is #Southeastern5k. For those of you coming, below are some Southeastern 5K Race Day tips. If you have a specific question about the race or about becoming an event sponsor, email Catherine Blinson at cblinson@sebts.edu. The first annual Southeastern 5K will be a fun winter run for you and friends to enjoy. *The race will begin and end at the entrance to the Patternson Hall Field. Start on North Wingate St. Turn left onto South White St. Turn left onto North Wingate St.